(GHC) (Istanbul) 1990 - 1994. Photos. Framable Color Prints and Posters. Digital Sharp Images. Aviation Gifts. Slide Shows. 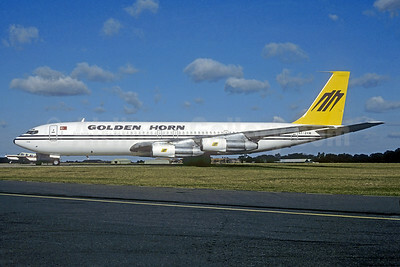 Golden Horn Aviation Boeing 707-324C S7-2HM (TC-GHA) (msn 19869) STN (Christian Volpati Collection). Image: 945537.